At least one million babies die across the globe every year because they’re born prematurely, according to a March of Dimes report released this month. Nearly 13 million babies are born early across the globe. Their early births put them at risk to face a host of health challenges, including learning disabilities and respiratory illnesses, which frequently continue throughout their lives. In the past 25 years the number of babies born early in the United States increased by 36 percent, according to the report. An increase in births by mothers age 35 and older, Cesarean sections and births assisted by reproductive methods contributed to the higher numbers. 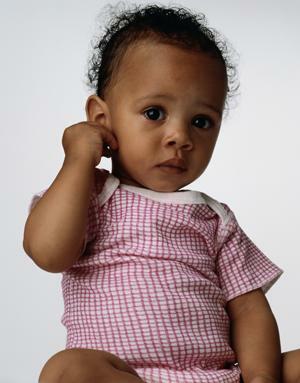 Preterm birth rates for black babies in the United States are 1.5 times higher than white babies. And 85 percent of all preterm births happen in Africa and Asia. These numbers come at a time when the nation’s bleak economy is smacking families of color backward and lack of health care is pushing them back even further. A city clinic for indigent women closed in Columbus, Ohio earlier this month because of the city’s budget cuts. Another clinic for poor women in Ohio’s capital city shut its doors in February because the city was short on cash. The closures come at a time when the county’s birth rates are increasing. Women’s clinics in Oakland and Chicago also closed this year due to budget cuts. The March of Dimes report calls for more resources to stunt the growth of preterm births. “Basic public health measures” need to be put in place to prevent babies’ early deaths and births, according to the report. But dwindling dollars for community women’s reproductive health programs have already cut access to prenatal care for women who need it the most. Investing in the health of babies is critical. As the nation debates health care, addressing the well being of the country's babies is important now. If we don't those babies won't be here to reap the benefits of a revamped health care system.